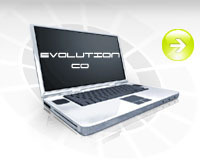 Evolution Co provides tailor-made solutions at affordable prices to companies of all sizes around the UK. We provide a range of hosting packages to suit all types of businesses. We provide all our clients with support via e-mail or telephone. A maintenance service is available to keep our client's web sites up-to-date. Enter your telephone number & we will call you back.